View Clean Up Day flyer here. 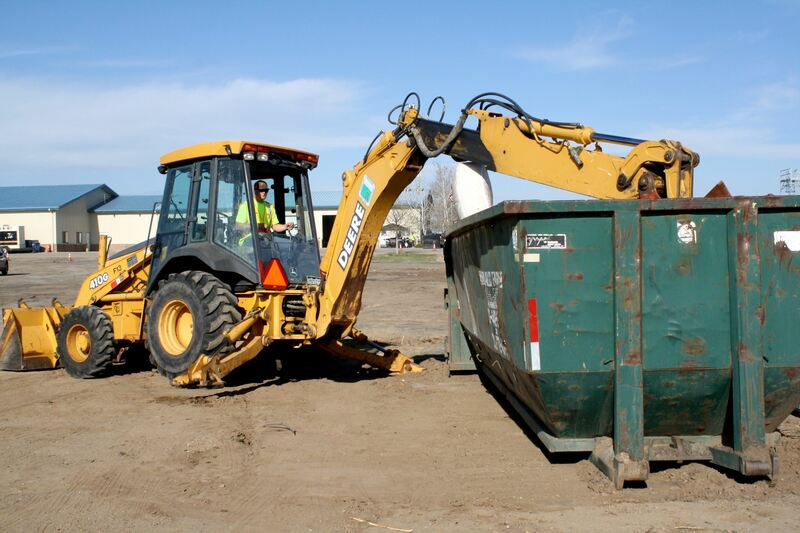 The Town of Firestone hosts an Annual Clean Up Day and Food Drive each spring to allow Firestone residents to bring all unwanted household debris to be disposed of through a community-wide effort. In addition to the cleanup, the Town of Firestone also welcomes residents to donate non-perishable food items as part of a food drive to benefit local food banks. Once items are disposed of, residents are welcome to join Town staff and elected officials for a free pancake breakfast and a hamburger lunch. NEW THIS YEAR! Clean Up Day will begin earlier at 6AM and go through 2PM. Each utility account will be limited to 2 free loads during the day. If a resident has more than 2 loads to bring, each additional load will cost $20 - cash only. Truckloads containing loose materials and/or debris must be covered. Please bring a copy of your utility bill and/or your I.D. for proof of residency. Household items accepted in the cleanup include barbecue grills, bicycles, cabinets, chain link fences, concrete, doors, furniture, hot tubs, lumber, mattresses/box springs, microwaves, patio furniture, shrubs, steel, stoves, tree branches, washers/dryers, water heaters, yard equipment, yard waste, miscellaneous household debris. Residents will be asked to separate tree limbs, wood and steel when unloading. Accepted at: Elliott’s Auto, 5511 WCR 13, Call 303-833-3501 for fees. Chemicals, paint, oil, antifreeze, flammables, batteries, light bulbs, corrosives, poisons, household cleaners, etc. accepted year round FREE to Weld County residents at 5500 HWY 52 in Dacono on Fridays & 1st & 3rd Saturdays 9am-4pm for more information call 970-304-6415 x2233.